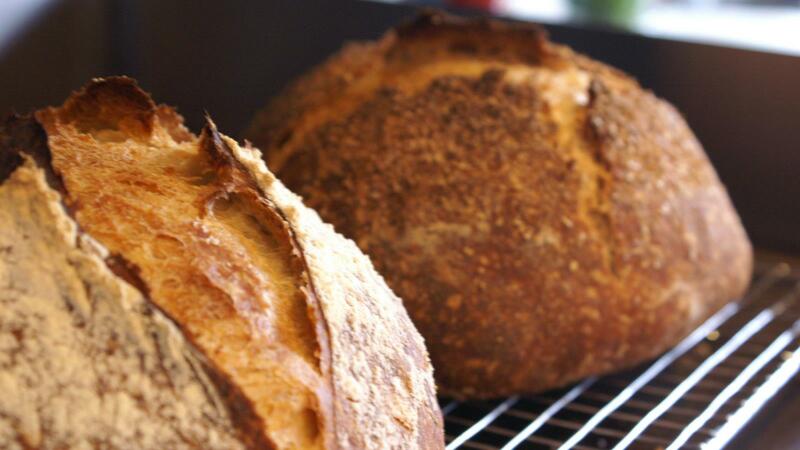 Good bread should be a masterpiece of contrast, crunching as you bite through the warm browned, malty crust into a soft yeasty, wheaten slice of bread. A deep satisfaction will fill you when you realize this artisanal loaf can be made at home. It is simply flour, water, salt and a tiny bit of yeast. Hardly any equipment is needed but your trusty cast iron dutch oven. It’s practically foolproof. We will prepare an whole wheat paesano loaf, ciabatta, Focaccia, and Pizza to round off the afternoon. You’ll see how easy and versatile these loaves of bread can be. Whether you’re a beginner or advanced cook you’ll be pleased by the simplicity and quality of the bread, just in time for Easter dinner.